You are here: Home / Studying / Why Did My LSAT Score Go Down When I First Started Studying? 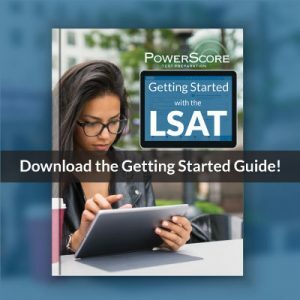 Why Did My LSAT Score Go Down When I First Started Studying? 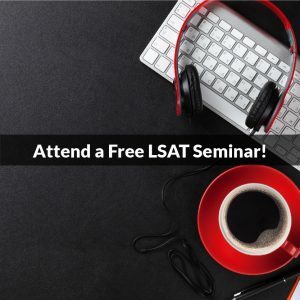 On occasion, I speak with students who experience a score decrease when they first start preparing for the LSAT. Despite putting in a fair number of study hours, they find that initially their score stays the same, or drops a few points. This can be an extremely distressing occurrence (to put it mildly), but it’s actually quite normal, and even expected. So let’s talk about why it happens, and what to do about it. The first question is, why would such a thing occur? When you study a new topic, you learn more about it, and this new knowledge should translate into a better score. And that does happen on knowledge- and fact-based tests such as History or Math. In those cases, when you learn a portion of the subject and are then tested, that new knowledge translates into a higher score. But the LSAT is not a fact-based test. It’s a process and reasoning test, and so there’s not a direct linear correlation between study time and your score. In other words, one hour of study time doesn’t immediately produce a corresponding score increase (which is too bad, otherwise if you studied enough hours you could guarantee a 180). Instead, the learning occurs on a curve (hence the term “learning curve”) and for most students the curve isn’t smooth. Instead, in the early days, the time you spend often doesn’t produce an immediate positive effect, and then suddenly you see great increases in what looks like a short amount of time. This produces an S-curve like the one in the image above. Here’s how it works: prior to preparing, you use your natural thinking processes to solve each LSAT problem. When you start studying LSAT methods and techniques, however, your natural process is initially disrupted and consequently you slow down. This is completely normal but it can be upsetting because when you slow down, you often see your score drop a bit. For example, over on our LSAT Forum, I’ve been talking with a student who confessed that when he first started doing problems using the proper techniques, he slowed down and that rattled him enough that he then abandoned the approach entirely. Consequently, his score has remained stuck because he’s not using any of the methods or tools at his disposal to solve problems—he’s just going about it haphazardly, without a clear understanding of the most efficient ways to solve problems. Speed issues are to be expected when you learn new techniques because you have to stop and think about what you are doing. That takes extra time and effort, and feels uncomfortable. Most importantly, in some cases that leads to a slight score drop, either from finishing fewer questions or from simply not being comfortable with the new approaches. In my discussion with our student, I analogized learning new techniques to being taught to wield a heavy sword: “it’s like being given a 50-pound sword. Sure, it’s a big strong weapon, but at first it’s heavy and ungainly, and if attacked, you won’t do a very good job of fighting. But, if you give yourself time, you will get better and better, and soon it becomes second nature.” Overcoming speed issues at the start is all about practice. When you learn something new, of course it will slow you down. Think about the first few times you drove a car—nothing felt comfortable and you had to think through each step. Fast forward to today, and if you’ve been driving a while, you jump in and don’t even give it a second thought; everything is smooth and seamless. 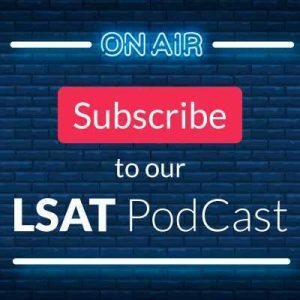 To get that comfortable with new LSAT concepts, you have to practice relentlessly with them, and overcome that first part of the learning curve. Don’t worry about being slow at first; worry about learning the new idea as well as possible. Speed will come later once you master the idea and make it second nature. Have a question? Please post it in the comments below. Photo: “Learning Curve : S-Curve (Sigmoid)” courtesy of Alan Fletcher.